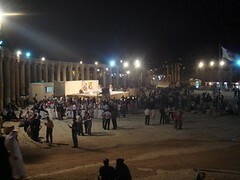 Made it to the Jerash Festival of Culture and Arts after lots of trouble getting my press pass. Getting the pass wasn’t any trouble. It was trying to get to the organisers’ office that gave me a headache! 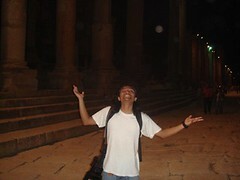 I went to three different places in Amman and wasted nearly RM70 on taxi fare till I finally got to the right place. 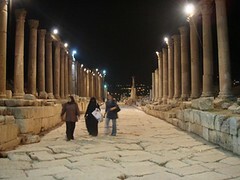 The festival is set in the Roman ruins of the ancient city of Jerash in the north of Jordan. Very beautiful actually. This dude (above) I met at the festival and I’m putting him in my film. 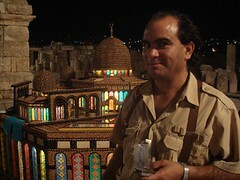 His name is Ghassan Ayasreh and he’s an artist. 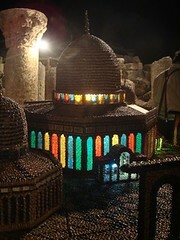 He spent three years of his life building a model of the Dome of the Rock out of olive seeds. Time well spent! Here’s another dude I met at the festival and I’m putting him in my film too. 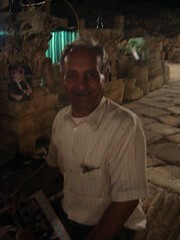 Mohamed Salameh is a photographer who likes to keep all of his wives under the same roof! And now I’m done with my journey. I’m back in Damascus ready to catch my flight home to Malaysia. Once I arrive home, it’ll be time to start on the editing of ‘I’m Muslim Too!’. Also, there’ll be more updates here in video form! So you can start sweating in anticipation now! welcome home then. can’t wait to see it. PS: I would suggest you to go to Beijing after this. Watched the Muslim community in Syahadah documentary and Masha Allah am very impressed with them. post your first cut, for an early preview for us. One more thing: Cobra tasha X 3, Sinar-sinar STAR!! dying to catch a sneak peek. if you need any help in editing (words i mean, the only video editing I can do is on iMovie)… you know where to find me. very soon there be updates!! a bit busy right now… carik makan lah!! haha! ilyas!!! beskal aku dah pancit dua2 belah tayar… terperap dalam bilik setor!! dammit! 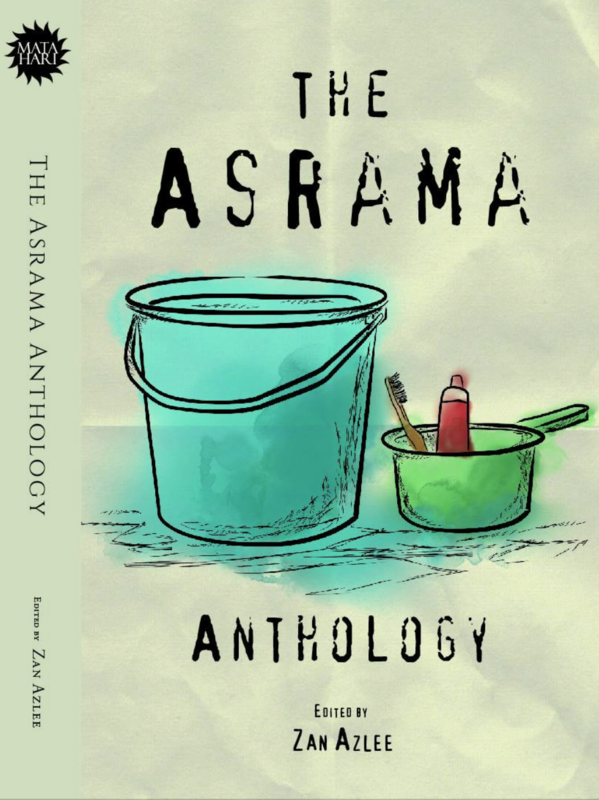 alaaa… lagipun aku bukan terer sangat! haha!